On the sweltering Madrid streets back in May, there was a strong feeling that something very significant was happening. Tens of thousands were crammed into a makeshift encampment in the city's Puerta del Sol square, unified by an acute sense of disillusionment with the political establishment. High unemployment, unaffordable housing and a feeling that politicians were not representing the people had resulted in the near spontaneous birth of a movement that would become known as the Indignados (the outraged), or 15-M (after 15 May, the date the protest began). Everyone who was there and who witnessed it could sense that this was not any ordinary demonstration. Despite the bleak social and economic conditions that had sparked the protest, the place was buzzing with indescribable energy and an optimism for what could be achieved. It was a forum for all ages to come and debate how to create a better society; inspired by protests in other parts of the world – particularly across the Middle East – the aim was, in essence, to take control of history and swerve it in a different direction. "I am here because I think we can change something," said 20-year-old student Alejandro Jalón. In the main, they were reformist as opposed to revolutionary, calling for electoral and media reform and an end to corruption and money in politics. Rejecting representative, parliamentary style democracy, they favoured direct, participatory democracy, with decisions made by consensus at public "general assembly" meetings. Like the uprisings that had exploded onto the streets of places like Tunisia and Egypt, the Spaniards hoped their actions would spark similar protests across Europe. One 66-year-old man stood awestruck amid the crowds at Puerto del Sol and recalled the student and worker protests that swept parts of the world in 1968. What was happening in Madrid was of greater significance, he believed, because of its relationship to the uprisings in the Arab nations. "I think I am living a new world order," he said, without a quiver of doubt or hesitation in his voice. "I am sure it will spread." His prediction was not far off. By late May protests had sprung up in over 60 Spanish towns and cities, and similar groups were formed in Italy, France, Greece and England. In London, activists organised a protest outside the Spanish embassy and called a public meeting on 29 May at Trafalgar Square. About 300 were in attendance, but they were predominantly of Spanish or Greek nationality. "We are hoping that the British will join us too, because you have a lot to complain about," said 29-year-old Virginia Lopez Calvo. "We are sure that more people will join us if we continue to convene." The 15-M, however, seemed to lose steam after the Madrid camp, which had become the beating heart of the movement, voted to disband in early June. Marches and demonstrations continued – some of which were suppressed by authorities – but lacked the same scale. The systemic change which at one point seemed to be within the clutch of the Indignados' grasp suddenly began to look like a faded dream. There was a moment when the movement itself appeared destined to fizzle out, as had the protests of 1968, absorbed into history before making any substantial political impact. That was, of course, until a new wave of protesters exploded onto Wall Street, New York, in September, which injected a powerful double dose of energy and inspiration into not only the Spanish movement, but to similar protest groups across Europe and beyond. Calling themselves "the 99 per cent" – a reference to the gap in income and wealth between the one per cent super-rich and the rest of society – the Wall Street protesters had themselves been moved into action after watching events unfold in Spain, Greece and the Middle East. Their anger, like that of their European counterparts, was borne on a basic level from the same sense of disillusion – even despair – at the political establishment and the lack of equality and opportunity within their society. Dubbed the "Occupy" movement, the American protest, which is ongoing, erupted like a volcano into something far more politically radical than anything proposed by the Indignado reformists. Though it adopts the same participatory methods of direct democracy used in Madrid, the New York group completely rejects politicians and the traditional system of government – instead calling explicitly for a "revolution of the mind as well as the body politic". 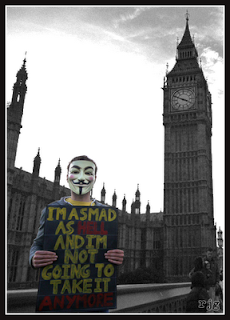 By mid October Occupy-inspired groups – many forming their own general assemblies and tent-based occupations – had sprung up in over 80 countries and 900 towns and cities, including across the UK. "It's about finding a new way for people to actually have control over their own lives," said 32-year-old Tom Holness, a protester involved with an Occupy group in Birmingham. "At the moment our access to democracy is limited to going to a ballot box every five years and voting for people who are going to lie about what they're going to do." Each of the groups' methods, goals and motivations are not necessarily the same, but they are united in their adoption of participatory democracy and their broad rejection of 'leaders' and hierarchical forms of organisation. Some are reformist, others revolutionary – all are vehemently opposed to the current political and economic status quo. In cities across the world, there is now that same sense of indescribable energy and optimism that could be felt in Madrid's Puerta del Sol in May. It is contagious and continues to spread. There are some who believe it could be the birth of a new paradigm – the embryonic beginning of an alternative future unburdened by the cobwebbed shackles of party politics. Many continue to disregard it as a flash in the pan that can be ignored, though there is an increasing recognition that the Occupy movement and others like it cannot be dismissed out of hand for much longer. Mark Field, Conservative MP for the cities of London and Westminster, acknowledged last week that such protests posed a "huge challenge for the entire political class". In the five months since the demonstrations in Madrid shook Spain, citizens on almost every continent appear to have simultaneously awoken from their slumber in unprecedented numbers, giving rise to all manner of possibilities that would have been unthinkable one year ago. No matter what the political differences between the movements in America, Britain, Spain, or elsewhere, there is a binding feature that is in itself incredibly powerful. It is a relentless, restless desire to fight for what is perceived to be a better, more egalitarian society – or "in defence of our dreams," as one of the slogans popular among the Indignados eloquently put it. "Once in a while in history something will happen that will capture people's imagination," said Edward Needham, 43, a volunteer at Occupy Wall Street. "We're all at the start of this. Together there's not going to be anything that we can't achieve." In a dingy Indian jail cell forty-six years ago, Tom Stacey had an idea that would later develop into a billion-pound industry. The author and former Sunday Times foreign correspondent, jailed after crossing the government while working on a story, dreamt up an alternative to prison that he felt would be more humane: the electronic tag. On his return to England he became a prison visitor and encouraged companies to create the device. 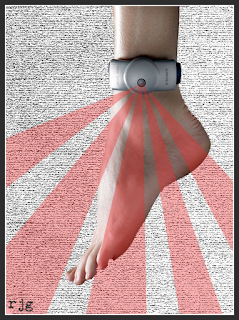 He set up the non-profit Offender's Tag Association to lobby government and, after a short trial period and a flurry of controversy, electronic tagging was eventually introduced by New Labour in 1999. In the first year 9000 tags were issued in England and Wales. This figure has steadily risen and to date more than 750,000 people have worn one. Between April 2010 – April 2011 alone 116,000 individuals were tagged, including over 6,000 young offenders, some as young as eleven. They are predominantly used to monitor prisoners released early on home detention curfews, but can also be issued as a community penalty. The technology has attracted sustained criticism over the years, most notably from penal reform campaigners and probation officers who say it does not have any impact on reducing crime or reoffending rates. In September, however, justice secretary Ken Clarke revealed the coalition government was looking to further expand its use of tagging, inviting private companies to bid on over £1bn worth of contracts to provide the service. For Stacey, who now spends his days working as a publisher based in west London, this was without doubt a positive move. “It is clearly better than prison,” he says. “Prison is a pretty random and stupid way to handle people. It destroys the ability to get a job. It eliminates a person’s skills if they ever had any and it breaks up families if there ever was one. Stacey, in fact, believes the government has not gone far enough. He wants to see it adopt high-tech, GPS satellite tracking tags – piloted by former home secretary David Blunkett in 2004 – which would monitor an offender’s every move. “It’s highly unimaginative and timid of this government not to follow up on the initiative of David Blunkett on that pilot scheme,” he says. 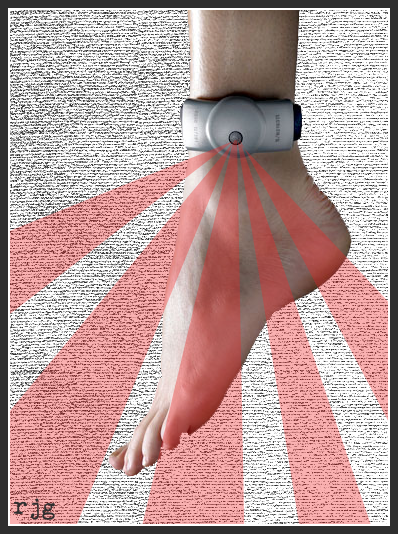 The equipment used most commonly in England and Wales is less advanced, consisting of a tag, worn round the ankle or wrist, and a monitoring unit based usually in the home. Using a radio signal like a mobile phone, the tag acts as a transmitter that communicates with the monitoring unit, which in turn updates authorities, ensuring the offender does not breach their curfew by leaving home during a set period, though not monitoring their exact movements. Part of the reason tags have proved popular with government is financial. It costs £1,063 to tag an adult for 90-days, which is over £5,000 less than the average cost of imprisoning a person for the same length of time. But despite the saving, according to critics including Frances Crook, chief executive of the Howard League for Penal Reform, tags are not value for money because there is little evidence that they reduce crime. Campaign groups have also expressed concern that under new government plans, the length of a curfew could be raised from its current twelve-hour-a-day maximum to 16 hours, and the order doubled in duration, from six months to twelve. “Being confined can affect rehabilitation into the community, depending on the number of hours per day,” says Sally Ireland, a policy director for human rights organisation Justice. Advocates of the tag argue that it can provide order and stability to sometimes chaotic lives, allowing an offender to reintegrate into society after committing a crime. However one former Birmingham University student, convicted of an offence midway through a computer science degree, told The Big Issue in the North being tagged for a four month period after an early release from prison had a negative effect on his education. In recent months tags have attracted negative publicity after being imposed for minor offences. In March a 66-year-old great grandmother from Sale was tagged after selling a goldfish to a 14-year-old boy (an animal welfare law passed in 2006 made it illegal to sell goldfish to under 16s). And it was reported in July that a 71-year-old woman from Hattersley was tagged for three months after refusing to have her sick dog put down. Stacey concedes that “there will always be bizarre instances” and “eccentric judges” who impose an electronic tag in questionable circumstances. But he remains firm in his conviction that the technology will always be a better alternative to prison. “Tagging is not a massive shock to the system,” he says. “Banging somebody up in prison is completely alarming and heaven knows what sort of consequences it could have. This article first appeared in issue #897 of The Big Issue in the North magazine. “The last chance to save the NHS” is how it has been billed. This Sunday thousands from across the country are expected to descend on London to launch a headline-grabbing demonstration against the coalition government’s proposed healthcare reforms. Led by the anti-austerity group UK Uncut, the protesters plan to temporarily close down the iconic Westminster Bridge just days before a crucial parliamentary debate on the controversial Health and Social Care Bill. If the Bill is passed into law, campaigners say, it will open the NHS up to corporate interests, damage the standard of service and lead to the destruction of an equal and universal healthcare system. But in the build up to the demonstration, an investigation by The Big Issue in the North has discovered frontline NHS staff across England are already enduring cutbacks that could be putting patient care at risk, with some surgeries being delayed due to tight budgets. 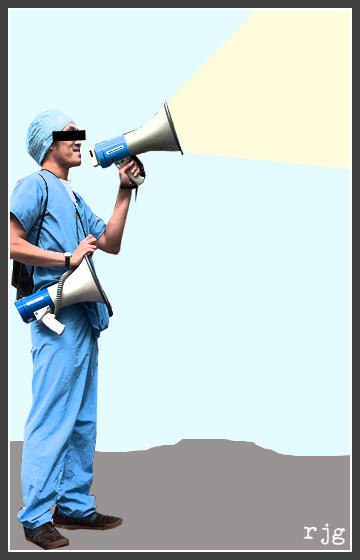 Speaking on the condition of anonymity, Dr Stephen Smith (not his real name), said at one hospital in the south west of England staffing was at a “dangerous level” after the ratio of nurses to patients in each ward had been reduced. Smith added that he believed the Health and Social Care Bill would send things in a “very bad direction”. “There isn’t anybody I know in the medical profession that thinks it’s a good idea. Everyone has said that this is going to destroy the NHS and is just an attempt at backdoor privatisation. The only people who are pro it are the GPs who are going to make money out of it,” he said. Jacqui Moore (not her real name), a specialist practitioner who is also a union representative at a hospital in the north west of the country, described increased levels of stress due to a string of job cuts. “I see alot of staff going off with stress at the moment. The minute you start cutting staff everybody else is just expected to work harder and a lot of staff react to that. They just can’t cope with it. Just about every person I deal with seems to have either been off with stress or has just come back after a period of stress-related illness. Everybody is feeling the pressure. Shortly after coming to power in May 2010, the coalition government gave an assurance that its cuts agenda would not impact upon frontline services. And in April this year the government launched a “listening exercise” to address concerns about the scale of its NHS reforms. One long-serving nurse at a hospital in south London, Mike Davey, told The Big Issue in the North the fear is that the standard of service – and ultimately patient care – will be severely compromised by the changes. “There’s a nervous anticipation and a lot of staff are very concerned. It’s having a negative impact on morale,” he said. “This particular government is putting thumb screws on to the managers, the executives and the trust boards so they have to pretty much market test everything – which means services being privatised out. At a hospital on the outskirts of Manchester, some surgeries may have already been rationed due to budget shortages. According to Oldham and Saddleworth MP Debbie Abbrahams, a 33-year-old man in her constituency had an operation to fix his cataracts delayed because his sight was classed as "impaired" as opposed to "blind". The man, an engineer by trade, cannot work due to his condition and will have to wait until his vision worsens before he can undergo immediate surgery. "Delays to simple and relatively inexpensive operations, like those for cataracts, can severely affect a person's life,” Abbrahams said. “I am very concerned about this situation as I have had several constituents come to me asking for help because they cannot get their cataracts treated in a reasonable time. Along with Michael Meacher and other Greater Manchester MPs I am asking Oldham's Primary Care Trust for clear answers about why this and other basic operations are being hit so hard by this government's ideologically driven cuts." For Ben Jackson, a spokesman for UK Uncut, this Sunday’s protest will be crucial. “It all depends on what they [the Lords] hear from the public,” he said. “So we need to take drastic action to make it clear that this isn’t going to be something we’re just going to lie down and take. This is something we really care about. It’s an emergency for the NHS." This article first appeared in issue #896 of The Big Issue in the North magazine.